In a northern prairie town, winter life is lived at the rink. The rink’s the hub; the rink is .. quite simply .. where it’s at. We cheered at Thursday night Hockey games and curled in Saturday afternoon bonspiels. We practiced for figure skating carnivals, flirted at “all skate” nights and defrosted to the sounds of local farmers card playin’ conversations, their stubbled faces obscured by the smoky blue haze encircling their John Deere caps. When hungry, we scarfed down homemade pies, puffed-wheat cake, tomato soup, hot chocolate, coffee and cheeseburgers, always with fried onions on top. 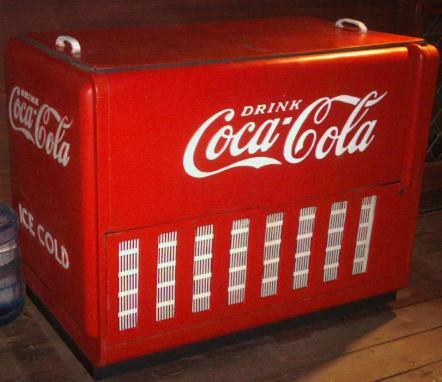 We cooled down with a Vico (chocolate milk), bottled Fresca or a Coke pulled from the murky water of the pop machine. We wiped our bottles “clean” with the towel, hanging there since 1968. First stop for Poker tournaments … on snowmobiles. Oh how many nights I worked that Rink Kitchen! Serving up flapper pie, playing cards, listening to stories, and helping little ones tie their skates. In summer, the old rink took a break. It stood quiet. Oh sure … there was one glorious event in June … the 4-H Achievement day… but after that, it waited. It waited for winter and children and good cooks and old farmers to return. I still have my skates and that rink still stands. And even now, on a crisp winter’s day, I can still taste one of those burgers with fried onions on top, washed down with an ice cold Coca-Cola. I’d be delighted to indulge an old-timer’s wink for I wish … I’d wish I could take one more lap around that ice. That all sounds like so much fun! If not that particular ice, why not some of the Michigan ice that will show up soon? Oh and it was … from the sequins on the skating costumes to the pie as we warmed up .. it was wonderful. What is it about those old Coke boxes, Dianna? They were beautiful .. well made .. kept our drinks cold and .. as a child, like a mystery, holding all kinds of treasures inside. What fun memories! My winters involved a rink too. But ours was outdoors. There was a warming house for putting on skates and of course, for warming up. There wasn’t any food there, maybe just a pop machine. We played crack-the-whip too and did our share of flirting. But mostly, we just made cold, dreary winter days come to life when we were at the rink. Oh yes, we had our share of outdoor rinks like you describe. The warming house, which I’d forgotten about! But gossiping with friends and figuring out who liked who was just so much better on skates, wasn’t it? No way! No crack the whip for me. Unlike my hockey goalie son and hockey player husband I am very scary on skates! I’ll take the camera position from the boards any day. Your childhood memories sound divine though. p.s. You might like this post I did on pond hockey last February…http://theviewouthere.wordpress.com/2011/02/21/serious-ice/ We plan on going again this year, which reminds me, I still need to reserve our room ASAP! … They were (divine) .. sigh. I hadn’t seen your post on Pond hockey but I have to say, in looking at the vastness of it .. those are some serious skaters, eh? Wonderful post, thank you for the link!! Makes me a little chilled just lookin’ at it! Sounds perfectly divine, although I have no idea what a puffed wheat cake is or flapper pie. And growing up in the south, no ice rink in sight, I also don’t know what crack the whip means. But the beauty of your descriptions means that I don’t have to know what each individual thing is, to understand what it represents to you and to feel the power of its memory. Another wonderful post. And thank you for taking time to reply and explain these things to a southern gal. Just one of the many things I like about you and your blog. And one of the reasons I gave you an award – 7×7 Award. Congratulations! I truly enjoy reading your posts! The posts share a wonderful part of my childhood, I love the memories! Excellent walk down memory lane, MJ. I really enjoyed this snapshot from a previous time in your life. In East Texas we had the roller rink where we went for birthday parties. My girls enjoyed Friday night at the local rink nearby us. And in Michigan, I bought my only pair of ice skates; now, they hang in the garage. My new northern friends and I skated on the river that iced over on our campus and then I remember also skating on Lake Erie, near a friend’s house. That was pure outdoor fun. I never felt confident on roller skates until in-line skates debuted. They’re much more like ice skates. I would love to skate on Lake Erie – how fun!! You have opened up the door to a lot of good memories. Great memories of times past. I did none of the above but can feel the nostalgia in the post and responses. Aw, thanks Coop. I’m glad it made you smile. There are so many memories like that from my small town childhood; lucky I was. I do remember pond skating; ever catch your skate on a frozen tree limb? Ouch! Ahh the Macrorie of years gone by! What a great place to grow up,raise kids and teach. Dean from Honolulu not bad here. This was a very interesting blog, MJ!! 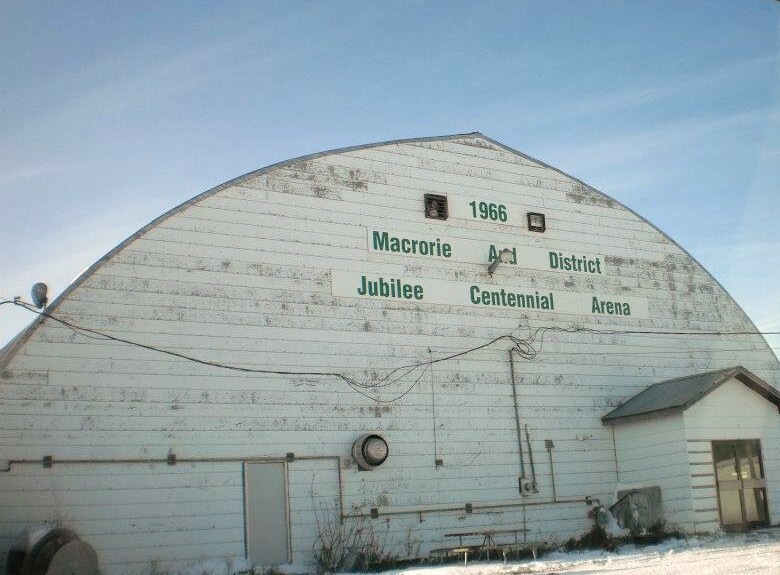 Loved to read about the old rink, and the wonderful people who walked through those doors!! Many, many memories!! Thank you! !